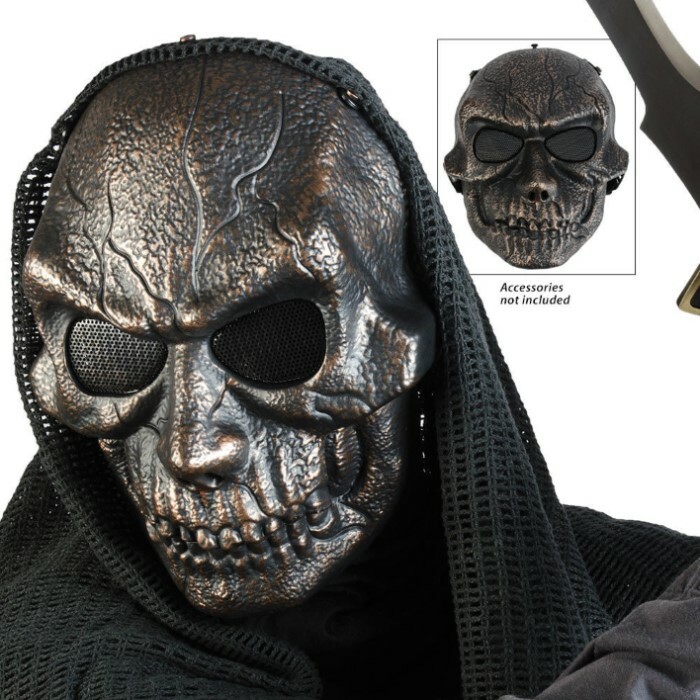 ABS Bronze Goblin Skeletal Facemask Cinnamon Bronze | BUDK.com - Knives & Swords At The Lowest Prices! 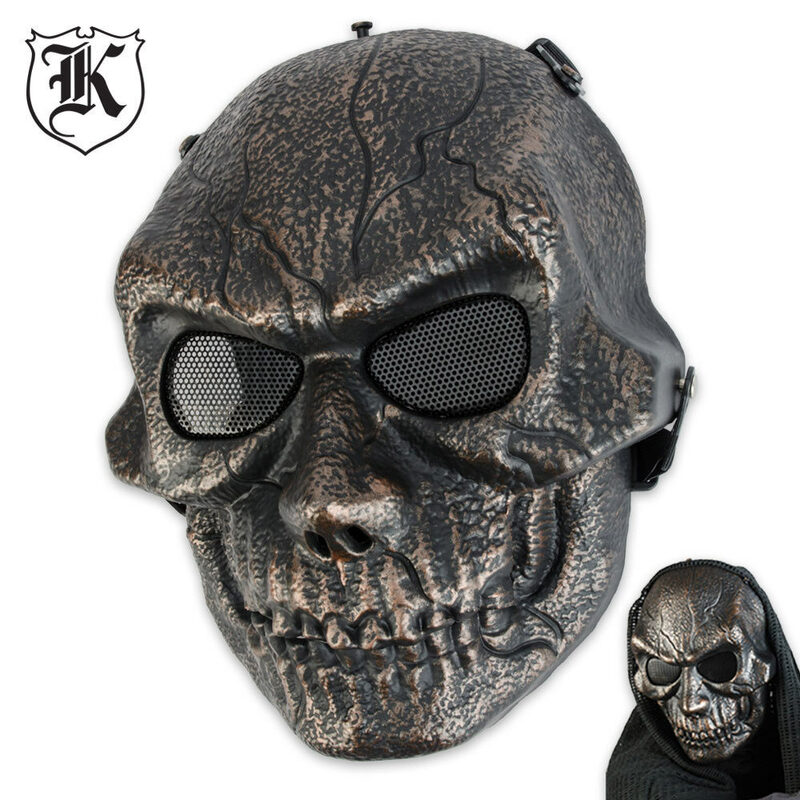 Add some zing to your next airsoft match with this cinnamon bronze-colored ABS Goblin skeletal facemask. The eye-catching design offers stunning accents and scrupulous attention to detail that will get you noticed. The adjustable straps ensure a custom, comfortable fit. Get yours today, and let 'em have it next time you play paintball.